In the aerospace world, innovation and progress are key words. 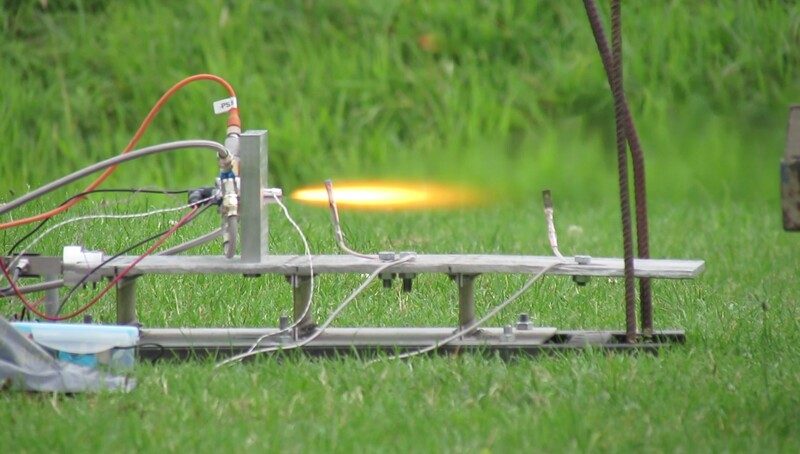 In the field of student rocketry, DARE is proceeding with giant steps towards more powerful and more efficient engines. Solid Rocket motors have been the preferred choice of DARE at the start because of their simplicity and ease of manufacturing, setting the first European altitude record with Stratos I. Hybrid rocket engines were then the step up that allowed Stratos II to reach 21.5 km. 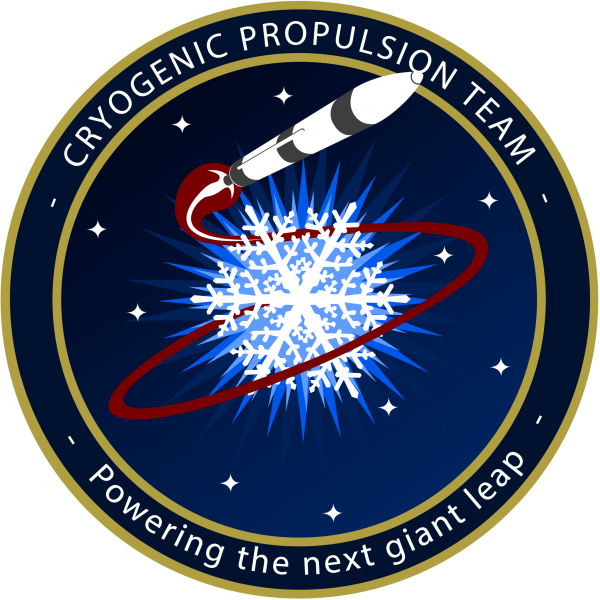 The Cryogenics propulsion team is working on Powering the next Giant leap forward for DARE: liquid propelled cryogenic rocket engines, with the target of reaching more than 150 km. In April 2015, a group of DARE members kicked off this endeavour, setting themselves the mission to develop the technologies that could bring DARE to 150 km and beyond. The team aims to design, build and fly a rocket engine propelled by cryogenic liquid oxygen and bio-ethanol. On this page, we would like to tell you more about our project. The goal we set ourselves is ambitious. liquid Cryogenic rocket engines are the most complex and challenging engine to develop, with more than 200 components, which have to work seamlessly for a perfect combustion. The DCX-10 (DARE Cryogenics Experimental-10) will deliver a sea-level thrust of 10 kN, just enough to lift off a SUV from the ground. To lead the team through this development, a set of milestones has been carefully selected. The first phase of the project is the design and construction of a small scale version of the final engine, named DCX-1. It will help us to verify and prove all the engineering design choices and serve as a testbed to demonstrate reliable performance. Once this works successfully, a larger scale engine will be built, tested and flown. Design, build and test a rocket engine that can sustain a stable combustion of LOX and bio-ethanol at a temperature in the combustion chamber of 3500°C and 25 bar. Design build and test a reliable ignition source based on a spark torch igniter. Design and use an automated sequence for valve actuation and firing. The phase 2 test campaign’s objective is to validate the individual subsystems (injector, igniter, feedsystem etc.) and to test the system as a whole. The subsystem test campaign is now complete: liquid Nitrogen (LN2) testing of a sample of feed system and injector, as well as a successful test of out igniter. 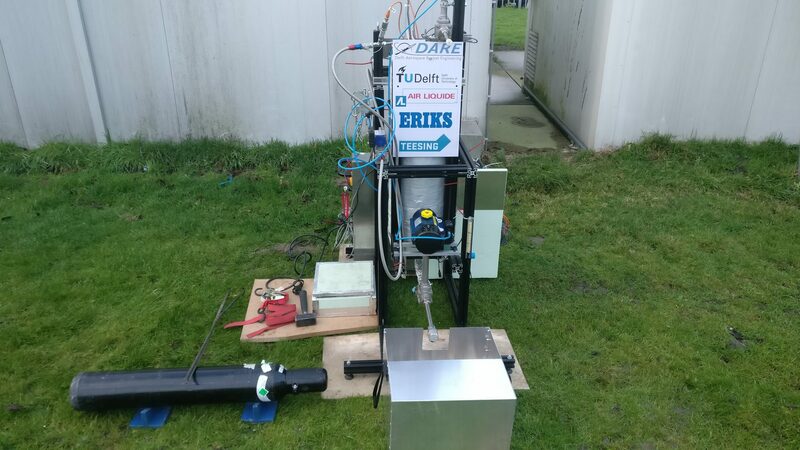 Conducted on the campus premises of TU-Delft, this was the first test conducted by the team. It consisted of filling and pressurizing a DARE in-house fabricated LOX storage tank (still in use in the system to date), and then emptying this tank again through a set of feed lines and valves. These tests gave the team its first experience with the handling of substances at cryogenic temperatures on a very simplified system. 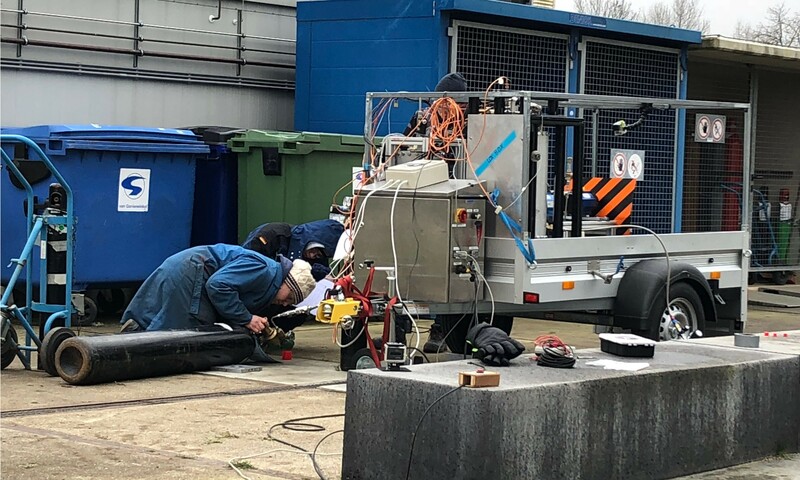 The measurements provided the team with the first hands on experience with cryogenic fluids, and helped us to understand the size of the task we took on. liquid nitrogen (LN2) has been used, as it is physically very similar to liquid Oxygen (LOX), but with the advantage of being less reactive, hence safer. 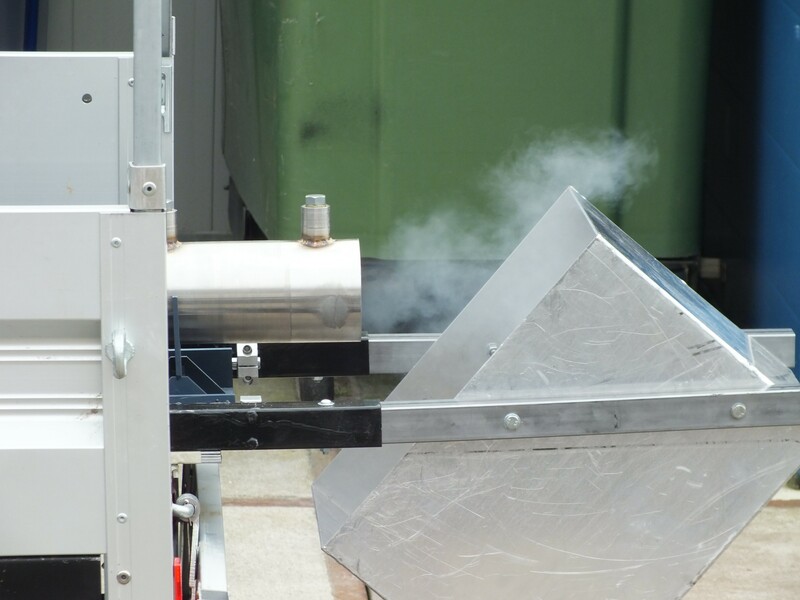 The next test in the series will be the cold-flow injector test. For this test, the propellant storage tanks will be connected to a complete feed system, ending at the injector. During these tests, extensive data can be gathered about pressure drops over our components and the state of the flow in our system up until the injector. It will give the team experience on how to properly assemble the system to avoid leakage. In addition, the control system for valve actuation can be tested. In parallel to the progress of the first two tests, the spark torch ignitor system was developed and tested. The test proved to be a great success, as the igniter was able to fire flawlessly and for multiple times, with little to none damage. A second test of the same has been performed to gather more data in order to validate and improve the design. This is a main goal for the team as there will be only a limited number of opportunities to test a complete assembly of our engine or to launch a rocket. If the ignition of the rocket engine fails, a complete test or launch campaign can be delayed. As these campaigns are often conducted at remote locations, the ability to postpone is often very limited. This is the reason why the team opted for a more complicated, but more reliable spark torch igniter. Once the full DCX-1 system has been built, full testing campaign could start. Before exposing the system to cryogenic temperatures, it was necessary for the team to get hands on experience with the whole setup. A water test of the system, with water running on both lines to simulate the operating fluids gave the team the first insight on how to approach the setup in test conditions, finding and fixing leaks, and provided a full range of measurements used to validate the design of the feed system and of the injector. The successful water test conducted on 9th of February 2018 opened the gates to the next step of the project: Cryogenic test of the system. 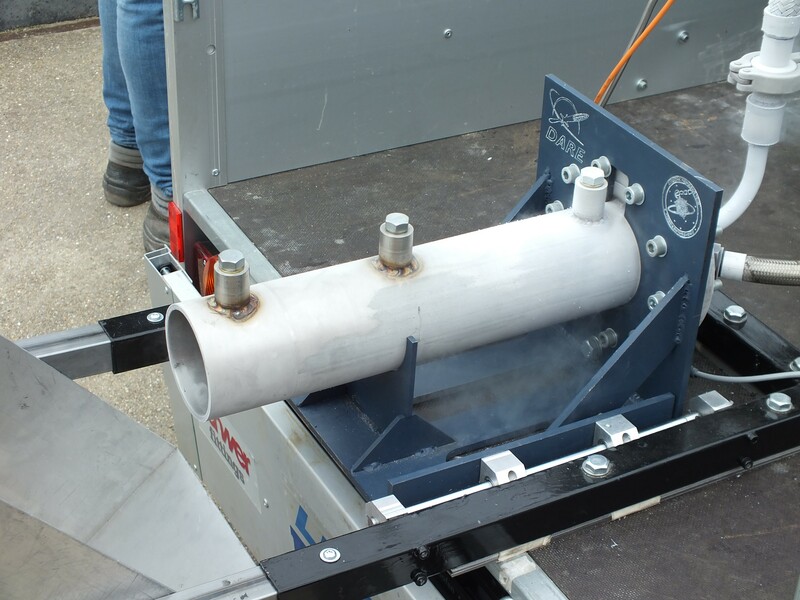 On the 9th and 23rd of March 2018 the Cryogenic propulsion team tested the DCX-1 system with liquid nitrogen (LN2) to simulate the liquid oxygen and water to simulate ethanol. On this test, the system has been exposed for the first time with temperature up to -196°C, only 77° away from absolute zero! Both test had been successful and provided the team with lots of valuable data, that upon analysis, show that the system is working as predicted. 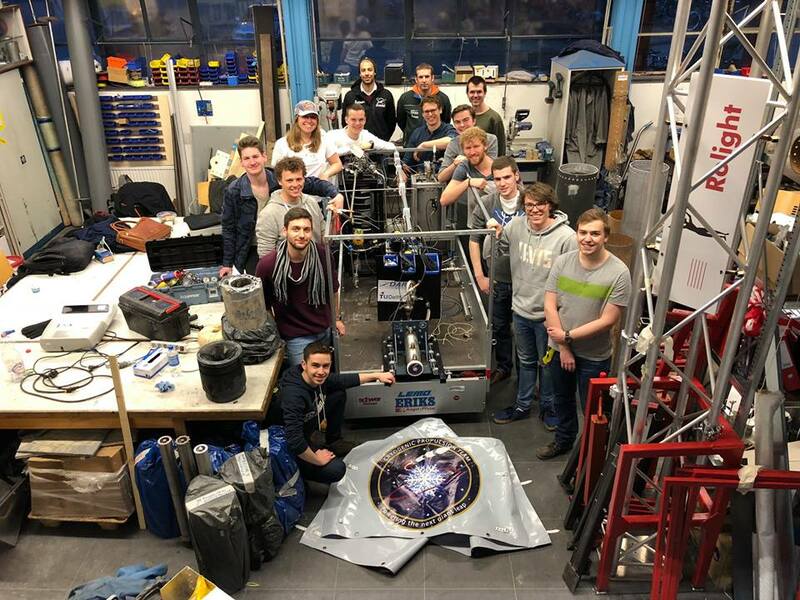 After this test phase, the team is now ready to make the biggest step of the project: The first Hot fire test, where DCX-1 Blizzard will finally enter the league of rocket engines. Our work is not done yet. After successful firing of the small-scale engine, we will proceed to investigate ways to improve efficiency and flight-ready solutions for our next engine. These improvements range from regenerative cooling of the combustion chamber to a new type of coaxial swirl injector. All of the new developments will be first integrated in the small scale engine, and once tested, transferred to the final stage of the project: the 10 kN engine. 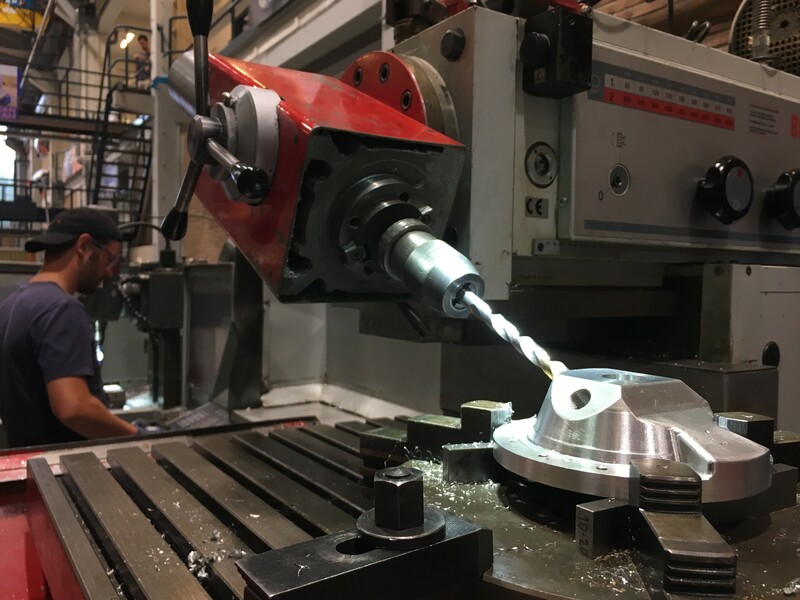 ERIKS is an international industrial service provider offering a wide range of high-quality mechanical engineering components and associated technical and logistics services. 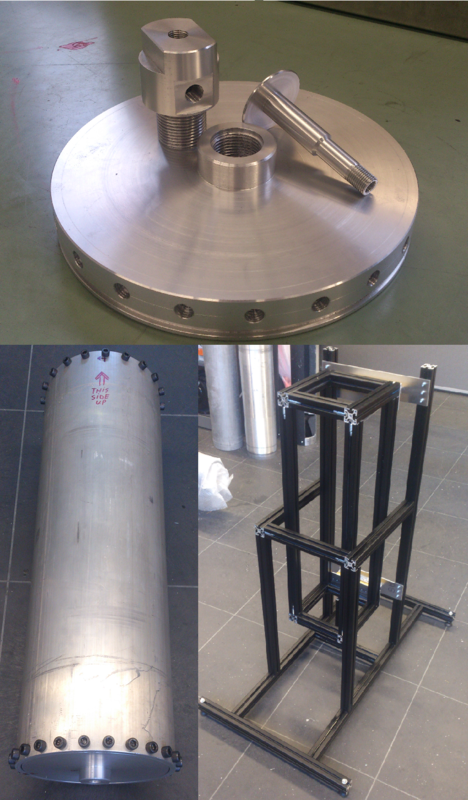 ERIKS is helping DARE in the development of the cryogenic rocket engine feed system. Schwer is a supplier of Stainless Steel pipe connection technology. Schwer branded production includes Couplings, Compression Fittings, Valves, Pipes, Hoses and Hose end Fittings. The high quality products are mainly used in gas and fluid hydraulic applications. Schwer is helping the team with the connection of the feedsystem elements.